What types of elder abuse exist? Abrupt changes in a Will or Trust or any estate planning arrangement–based upon Undue Influence or Lack of Cognitive Capacity, often accompanied by isolation and changes are made that are contrary to longstanding planning and relationships. The Law Office Of Stewart Levin has successfully handled numerous of cases involving Elder Abuse and Neglect over the last 25 years. Cases for which Mr. Levin has obtained compensation by trial, arbitration, mediation, and settlement include situations involving pressure sores, falls, wandering, sexual assault, assault and battery, dehydration, malnutrition, and Wrongful Death. These cases have occurred at nursing homes, residential care facilities, home health care situations, group homes, during hospice care, and at hospitals. Mr. Levin has taught lawyers, doctors, and law students trial skills involving elder abuse cases. If your elderly loved is the victim of elder abuse and neglect, please give us a call as soon as possible. Let Beverly Hills Elder Law represent your case. To get started, call our office at 310-776-8780 or contact us online. No Recovery–No Fee. Speak With An Attorney Today. No Recovery - No Fee. 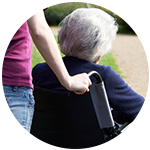 Maximizing compensation for injuries and Wrongful Death from Nursing home neglect and abuse. 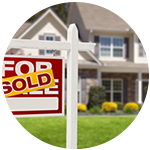 We can help enforce your ownership rights in commercial or residential real estate. 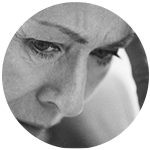 Financial Elder Abuse is an epidemic that affects many seniors and their loved ones. 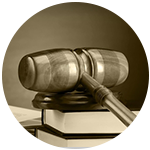 Our attorneys believe in aggressively pursuing justice for our clients. Clients have been placing their trust in us for over 20 years. ©2017 | Prior results do not guarantee similar outcome.